The most comprehensive Chopin tour on the market is a special treat for anyone who admires the talents of the most famous Poland-born composer. See all the formative places that influenced Chopin during his first twenty years. Expect some highly enjoyable sightseeing interspersed with inspiring music. 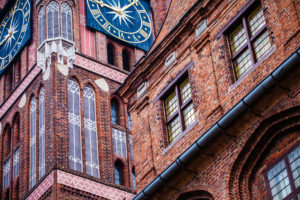 The tour focuses on Fryderyk Chopin, but at the same time, you will not miss the highlights of Central and Southern Poland, exploring all three historical Polish capitals (Gniezno, Kraków, and Warsaw), and partially trace the roots of two other world-renowned Poles: Nicolaus Copernicus and John Paul II. Transfer form the airport to your hotel in Warsaw. In the afternoon, a welcome dinner in a restaurant in historical Warsaw. In the morning, a guided tour of Warsaw, a city which had a very special place in Chopin’s heart. Fryderyk Chopin lived in Warsaw for the first seven years of his life. Unfortunately, the Saxon Palace, where the Chopin Family moved into after leaving Żelazowa Wola, was destroyed during World War II. You will see the only remaining arcade of the palace on Pilsudskiego Place, now the Tomb of the Unknown Soldier. 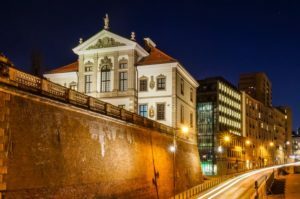 We cannot miss some other Warsaw highlights: the Old Town, the Royal Castle, and especially the Ostrogski Palace, where the new hi-tech Chopin Museum is located. In the evening you attend a Chopin Piano Concert in side wing of Royal Castle. Breakfast in the hotel, then departure to Żelazowa Wola and Brochów. In Żelazowa Wola is the traditional manor house where Chopin’s parents met and Fryderyk was born. In the autumn of the same year, the family moved to Warsaw. They did, however, return to visit Żelazowa Wola several times. After touring the museum and the gardens of Żelazowa Wola, we will drive to the Gothic-Renaissance parish church in Brochów, the only example of a fortified church in Poland. This is where Chopin’s parents were married and Fryderyk was baptized. From Brochów you drive directly to Toruń. Just like Chopin you will get a chance to taste the gingerbread. See how to bake it in the basement of the house that is a prime historical monument: the house where Nicolaus Copernicus, the famous astronomer, was born in 1473. Chopin visited Golub during the excursion from Szafarnia, where he spent his holiday. You will see fortified castle on the hill which Chopin enjoyed visiting on outings from Szafarnia. From Golub you will travel to Szafarnia, a charming village. It was here in the family estate of Chopin’s friend, the young composer spent his 1824 and 1825 summer vacations and edited his own mock gazette “Kuryer Szafarski”. The Dziewanowski residence still exists, now housing a small museum. The local Chopin Center has a concert hall and the building is surrounded by a three-hectare park with six natural monuments. If you are 1-3 persons we can prepare a special chauffeured or rented car program depending on your needs.